The views below are all good representations of what it looks like to walk around Old and Central Havana, but my favourite one – and probably the one closest to a quintissential view of the city – is the first one. This is a view of San Rafael Street (Centro Havana) as it enters Old Havana. 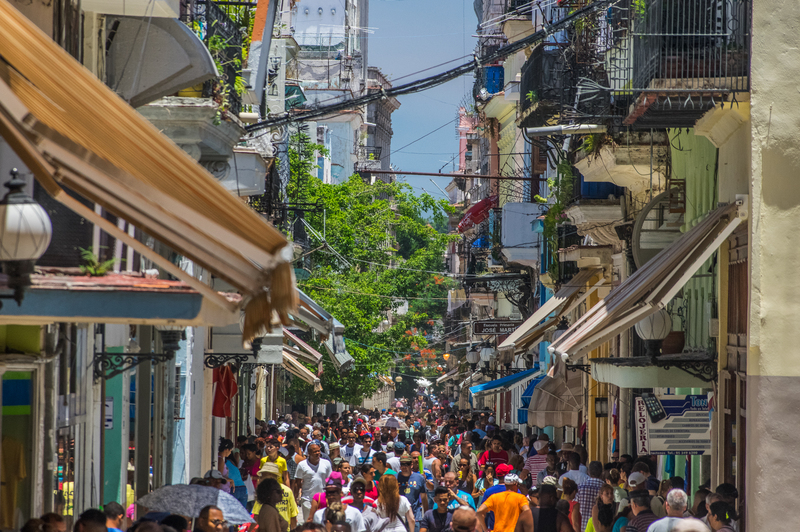 You know you’ve arrived in Old Havana when the population of the streets suddenly quadruples. People who don’t like crowds may not care for this area, but I absolutely adored it. I’m sure I could easily spend a month there with my camera! All of the images below can be enlarged by clicking on them. So much is happening in these street scenes; they are Rockwellesque! Thanks Jon. It really feels otherworldly walking around Havana.